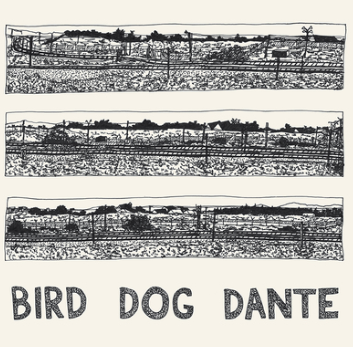 Winner of the Mercury Music Prize 2011. 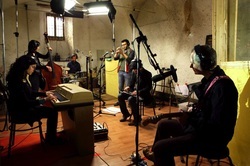 Let England Shake' was recorded in Eype Chapel, Dorset in the spring of 2010. It was engineered by Rob Kirwan (who’d previously worked on 'To Bring You My Love') and produced by Flood, Polly, John and Mick Harvey. Along with Polly, John and Mick played most of the instruments on the album. Jean-Marc Butty (To Bring You My Love , A Woman A Man Walked By) drummed on several songs. They all sang. 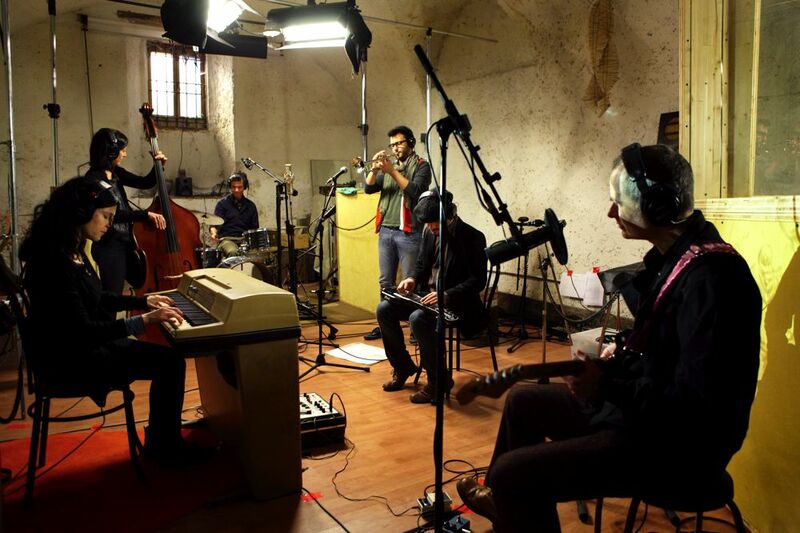 The record was mixed by Flood at Assault and Battery Studio, London in June and was released in early 2011. 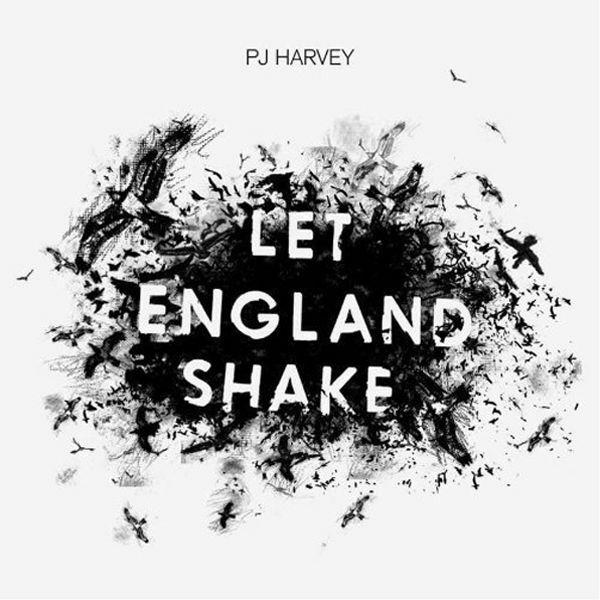 The touring band for Let England Shake was PJ Harvey - vocals, autoharp, guitar, John Parish - guitar, keyboards, vocals, Mick Harvey - keyboards, bass, guitar, vocals, and Jean-Marc Butty - drums, vocals. Tour dates in reverse order: Royal Albert Hall, London; Lucerna Hall, Prague, Czech Republic; Sentrum Scene, Oslo, Norway; Stockholm Filadelfiakyrkan, Sweden; Bestival Festival, Isle Of Wight, UK; Apollo, Manchester, UK; Concert Hall, Glasgow, UK; The Electric Picnic Festival, Ireland; Alexandra Palace, London (Portishead's 'I'll Be Your Mirror'); Paleo Festival, Nyon, Switzerland; Vieilles Charrues, Carhaix, France; The Musilac Festival, Aix-Les-Bains, France; Neumunster Abbey, Luxembourg City, Luxembourg; Jahrhunderthalle, Frankfurt, Germany; Circus Krone, Munich, Germany; Piazza Castello, Ferrara, Italy; Main Square Festival in Arras, France; Rock Werchter, Belgium; Paradiso, Amsterdam, Holland; Primavera Sound Festival, Spain; Aula Magna, Lisbon, Portugal; Terminal 5, New York, U.S.A.;Coachella, California U.S.A.; Warfield Theatre, San Francisco, California U.S.A. ; Troxy, London, UK; Olympia, Paris, France; Admiralspalast, Berlin, Germany; Cirque Royale, Brussels, Belgium.